"I LOVE DSS - Don't try to function without it!" There is so much to like about DSS. We are able to upload our own content (articles, blogs, FAQs, images, videos, and books). We love the dashboard because it allows us to track metrics. DSS is intuitive, smart, and reliable. We don't have to wait on anyone to find time to post content for us - we can do it ourselves. It's hard to mess DSS up because it functions so easily and reliably. I'm not certain there is anything I can think of that I dislike. I would have to sit for a very long time to find something. The website is our most powerful marketing tool - and DSS helps us ensure it functions correctly and helps us drive the business ahead. We solve the "How are we going to get clients to find us?" problem with DSS. DSS (and being able to analyze metrics) has also helped us be able to dominate online in our local geographic area. The DSS Toolbox has also streamlined our social media work. There is so much to like about working with you and your team Sara! Swier Law Firm is a next-generation law firm that were are ecstatic to work with on a regular basis. "Best Website for Tracking Marketing in the Industry by Far. " DSS is perfect for tracking how well our business is doing with traffic to our website. Working in marketing it is important to keep track of how you are doing month to month. Google analytics only goes so far. There is not much to dislike. The only issue I personally have, is when working on campaigns, newsletters, or other email services, if you leave it inactive for about 10-15 minutes it will automatically log you out. It always saves your progress, but maybe allowing more time between logging out would be great. Though it is not cheap, you get what you pay for. If you seriously want to utilize marketing techniques to throttle your business, DSS is definitely the right direction. There are SO many different options and features you can choose from. It is perfect for businesses that want to utilize marketing, but aren't insanely tech savvy and don't have the time. DSS lays it all out and makes it easy to send out mass emails, newsletters, and feedback requests. DSS has everything in one. We don't need to use other services to send out monthly email blasts, because DSS does that. We can create feedback emails to send to certain clients, as well as create drip campaigns to keep up with your clients via email, with minimal work. DSS really eliminates the need for a plethora of email contacting sites. "Looking for excellence? Look no further than Foster Web Marketing! " We have been working with Foster for years because they are the best at what they do, they quickly respond to any information requests and the customer service is off-the-chart fabulous! You will feel like you have your own personal SEO assistant helping you reach your internet goals when you're working with the Foster team. A lot of people will say they can get you to the first page of Google but Foster actually tells you how to get there and we've gotten there (& stayed there) thanks to them. Hands down, SEO geniuses! I can't think of anything I do not like working with the team. I would recommend anyone who needs help with their website to use DSS. It is easy to update and makes our website look awesome! Using DSS, we are able to identify and classify each lead we have and know which channel they chose to reach out to us. It is so easy to use, this cavegirl can use it. DSS helps us easily update our website. It also provides a great deal of analytical information so we can see what advertising methods we are using and if they are working or are a bust. That is some awesome feedback Kati! We love working with you and everyone else at jimdodsonlaw.com on your marketing initiatives. Glad to hear you feel the same! "Great CMS and customer service"
I like that if I have a question or concern, I get fast and courteous support! Everyone is always so nice and helpful. They go above and beyond. The system is easy to use as well. After many years of working with FWM and the DSS system, I feel like they are always working to improve things and create new features that work for our office. There is nothing outstanding that I dislike about DSS. If I had to choose one thing, it would be the capacity to compress images within DSS. great support staff and always evolving to stay on top of whats relevant. great customer service and coaching! I am always very satisfied with the service and support I receive. DSS helps The Derrick Law Firm produce content quickly on a website that is optimized by Foster Web Marketing. This helps us stay above our competition when it comes to SEO. I've also used the system to send out marketing or content emails that helps us stay connected to those interested in our firm. I like that it is easy to navigate and I have the ability to make direct edits to our website. I also really like the way the dashboard is set up. There is so much I like about it! I have not found anything I dislike.The developers are really open to feedback and continually working to make it the best it can be. They have excellent support if I ever need help. Jump in and try it. You'll see how easy it is to navigate and complete whatever tasks you need to be accomplished. The support team are very responsible, knowledgeable and friendly--which is also very important. Tracking ROI is a big business challenge for us and DSS helps us with this. It helps us capture contact information for leads on our site and track their conversion which is key. We also use it as a lead generation tool by using the captured data for drip campaigns to our prospects. This helps us "set it and forget" --it's very efficient and saves me time. All the information can be exported to excel which is critical. Also, I like that is compatible with our live chat software so that data is also tracked in the same place. As always, you are a pleasure to work with Simone. A review generation superstar and I can't wait to see you continue to grow in the years to come. "I enjoy using DSS, but a few features need some work"
I like that all of the content for my law firm is easy to manage. It's all laid out right in front of me, and I can maneuver through the site easily. I also like that DSS explains certain features in the articles, such as what the headline, summary, and title will be used for and where it will show up. The analytics on the home page are a huge help in determining which marketing strategies really work. I incorporate that information into every monthly report. The hardest thing about using DSS is the formatting. It takes me about 20 minutes longer than it should for everything that I write because the formatting constantly has to be adjusted. It's impossible to copy and paste with the same formatting, and I usually have to retype everything. I also don't like that when I search something using the exact words of the title, it doesn't pop up. But, if I type something related to the title, the article that I want comes up. I use DSS to run our law firm's website. It includes bios of the attorneys, helpful articles and information, free books, testimonies, and our own blog. The website and all of its components generate a majority of the leads that we receive every month. Leads turn into clients, which means more money for the business. "I'm sure DSS is greater than I know but the training is lacking"
Disclosure: I have never before used a CRM so my experience may not be as valuable for comparison purposes as others who have. In fact, my requirements for a client database perhaps aren't nearly as extensive as those of other firms--in fact, I've long utilized a simple FileMaker database for my practice. That said, DSS seems a rather expensive ($750 per month) license required to keep my contract with my website developer. The early training I received on the system was, in my opinion, negligible. In fact, it's mostly by looking around the system on my own that I've been able to learn some of its possibilities. Now, in a world where my time was endless, this would be fine, I suppose, but it seems a rather poor way to learn while also trying to run a law practice. See above--the training on DSS is terrible and it's, in my opinion, wildly expensive. As noted above, perhaps other systems are more as I have never used one--but from what my friends who use other systems tell me, DSS is more considerably more expensive. Really recommend comparing the cost of similar services. Once you're locked in, it seems tough to get out. Keeping track of my website content has been most helpful. We really appreciate the honest feedback. With a robust all-in-one marketing automation tool like DSS there is always going to be a bit of a learning curve. We are always striving to improve our training and customer support though so we'll take this feedback and work on improving the training. Thank you for raising your hand and letting us know you haven't received the training you feel is necessary to be successful. We'll continue to work on improving our relationship and making sure you see the full value of DSS and FWM moving forward. "DSS & Foster Web Marketing - Great platform, Great Service, Great People"
FWM isn't a one-and-done web company; they give you continuing education, keeping you at the cutting edge as the online world continues to change, and help you gain control and traction for your business rather than just throwing advertising dollars at the wall hoping something will stick. They're also the only online platform for lawyers that I'm aware of that integrates both a dynamic website (easy to add your own content) as well as a CRM. If you're looking for an integrated, dynamic website, together with a CRM - and a company that is always looking for feedback and to improve - you've definitely come to the right place. Always a pleasure working with you Jonathan! Great speaking with you the other day and looking forward to testing that new campaign we spoke about. "DSS changes the game when it comes to managing your website and marketing needs. " I like that I am able to go to a "one stop shop" to edit, add or delete items on our website. I can go in at any given time and post a blog, article or create a landing page. If I have any questions, I can easily submit a ticket and almost always receive an immediate response to help figure out the issue. I wouldn't say dislike, but it would be helpful if when filtering through and categorizing the contacts each month that it didn't take me back to the first page. I.e. if I am categorizing the 50th contact and click 'save', I am brought back to page 1 rather than the current page I was on. DSS really simplifies things when it comes to marketing. The support that comes with using DSS is A-grade and I really appreciate being able to again, go to one place to facilitate all of my marketing needs. If I want to post an article, but need someone to spot check, they can login and view it without having to be in the office with me. We have been able to streamline our potential leads, personal access to our website at any time of the day and strengthen our email campaign strategy. That's just to name a few things that I've personally discovered for our business. There are many things that I haven't discovered yet, but I am continuously kept up-to-date with webinars on how to dive deeper into DSS. You and Brad are always a pleasure to work with and we're ecstatic you're continuing to find value in DSS. Keep up the great work and hope to see you all in the DC area again sometime soon! "Functional Flow For Website Management "
I like the fact that DSS is intuitive and that the team at Foster Web is always working to improve things as needed. The other thing I really appreciate is that whenever my team has questions we know we dont have to hesitate asking Foster web for help. Sometimes it can be a bit confusing when changes are made, but over the years you have got much better at giving warning and showing us how to adjust. It is easy for all of the team to be on the same page with DSS, we can see what blog posts have been put live, its easy for everyone to review items before they post, or while they are being audited. It's also nice to be able to add or delete employees on our profile for the site. We're always looking for ways to improve DSS and communicate those changes to our client partners. Thank you for noticing our continued effort to improve in those areas. The Turley & Mara Law Firm has grown so much in the last few years and we think that is due in large part to your efforts. We're looking forward to moving forward with your website redesign and making 2018 the best year yet! Please give Bill and the rest of your team our best. "DSS gives me total control of my website and gives me 100% flexibility." DSS allows me to make additions to my website as easily as I can send an email. For someone like me, who is technologically challenged, it is a great relief to feel in control of my website. I no longer have to rely upon a “web master“ to make changes to my website. I can do this on the fly myself. I also like the fact that the people at Foster web marketing have given me the instructions and knowledge to truly understand the hell and way of keeping my website Current. DSS is easy to use and is even “fun”. I would highly recommend to others that they get on board with Foster Web Marketing so that they can begin using the DSS as quickly as possible. DSS solves the problem of having to rely upon others when I want to make additions to my website. I’m no longer have to wait long periods of time and spend huge sums of money just to get my ideas and information up on my website. Our contact at DSS (Cody) was always responsive, never condescending, and constantly adding value. A consistent monthly meeting with a detailed report provided ways for us to grow month to month. I like the customized nature of the platform. You can be as hands on as you would like, or you can turn it over to the experts and learn how to use a different aspect through webinars little by little. My least favorite part is not being able to be closer to meet in person! The most difficult aspect for me to master currently is the email platform-- as far as building newsletters, e-blasts, etc. The building program isn't as intuitive as I would like for it to be. I would be more inclined to send out emails, etc. if I better mastered the program. Regardless of your needs, DSS most likely has a solution on how to solve your problem, or make your process more efficient. We are able to keep track of leads, classify client interactions, and provide better customer service. I never before realized the power of a funnel, and how having a platform like this can make daunting processes a piece of cake! Also, it is such a relief to have fresh content every month that is relevant and pertains to our business. "Foster Web Marketing is Great to Work With"
The world is full of internet marketing charlatans ready to take your money in exchange for empty promises. Unlike so many of the internet marketing vultures out there, you can actually trust what they tell you about what works and what doesn't in the world of online marketing. The FWM team is also great to work with. They are responsive and knowledgeable. Since I have to put a dislike here, I will say a FWM site is not inexpensive. It is also worth every penny if you take the time to follow their guidance. There is no marketing magic bullet and the FWM team is very up front about that. But if you follow what they tell you to do and what NOT to do, you will get a great return on your investment. Our website is the hub of our marketing efforts whether they be print, radio, or online, everything flows through our site and is easy to track and manage. Chuck, thank you for the great feedback! Looking forward to seeing your new site launch soon! Let us know if we can be of any other help with everything related to your office move. We know how hectic it can be after moving offices. "DSS has taken an Old School computer operator into the 21st Century." DSS has taken an Old School computer operator into the 21st Century. When we started with Foster Web over 7 years ago, I had no experience with websites, mass emailing, etc. Now I work in DSS at least weekly, sometimes daily, updating our website, sending out e-mail blasts, entering contact info, etc. The program is very user friendly, as if I can figure it out with my limited skill set, than I think most people can as well. Their support is also awesome. If there is something new that I want to do, there is always someone to help walk me thru it and learn how. I honestly can't think of anything that I don't like about it. Strongly consider it - It makes my job much easier. Prior to Foster Web and DSS our website was outdated and never updated. Now I can update it myself as things need to be changed, and the updates are immediate. This keeps our website current at all times. Secondly, the ability to send mass emails thru the system is great for getting information out to our patients in a timely manner. Thank you for the kind words Sara! We're so happy you're still loving DSS. Let us know if we can help with any additional training on new features or if you just want a refresher. "Absolutely Great! I Will Always Recommend DSS"
Everything is organized and at my fingertips. It's a great way to sift through otherwise intimidating data without feeling overwhelmed. The site can be difficult to navigate at first. My advice is to absolutely take the training course to help familiarize yourself with important features. I would definitely recommend DSS. It's an amazing tool and my job has been made easier and more efficient because of it - giving me more time to focus on individual tasks. Instant sharing of content and great organization. One instance that comes to mind is being able to pull reviews from multiple sites and have them all in a neat list to review and respond quickly. Ashton, thank you for your amazing feedback! You and your team are a pleasure to work with and it's great to hear you're enjoying the experience working with us and DSS as well. "Website design and upkeep with ease and complete control"
The ability to design and update our website plus keep it maintained on a regular basis makes DSS a really great choice. . .especially for us! When you need a website to be built that will be interactive--with videos, offers, blogs, books, articles, etc.--DSS by Foster Web Marketing is my first choice! We are able to advertise on the internet with a strong, valid website that looks and acts professional in every aspect that we need. Jeffrey, thank you for the great feedback! Let us know if we can provide any additional training to help with the learning curve. We're also working on creating a more in-depth library of help articles for DSS over the next couple months, so hopefully, that will help as well. "DSS makes it EASY to update your website"
How easy it is to use. I like to practice law. I do not like to have to mess around with computers just to get them to do what I want. If I am going to kick something, it had better be my opponent in court, not my computer. I need easy. DSS makes my marketing updates easy. I don't use the CRM portion of it and I don't like that CRM stuff is on my dashboard. I wish there were a way to "hide" those features for those of us that do not currently use it. Beyond this being a great product, the people BEHIND the product are awesome (Foster Web Marketing). Tom Foster and his team are genuine, they are all right here in the USA (no outsourcing to India! YAY! ), they really know their stuff, are always on hand to help when you have a question or need something done (ie: hard coding..), and they want you to succeed. Couldn't be happier! I can update my website whenever I want and it motivates me to do better. I can always do better and there is a tinge of guilt when I log on and see that I haven't updated in a while. That is a good thing. I have also benefited from being able to see Google Analytics right there from inside DSS. "DSS Streamlines Marketing, Improves Contact Management & Helps Us Do More In Less Time"
DSS is a very robust website management tool. The real power is in the back-end contact management provided. We set up multiple campaigns and all run automatically to help us stay in touch with those who reach out to us. The data provided helps us optimize our messages and stay in front of trends. Plus, DSS allows us to publish our message to multiple sites with a click of the button. We have noticed a few bugs here and there but the Foster Web Marketing team is usually quick to fix them. Would be great to have a few more options for variables to include in our data but it is not a deal breaker. Overall, we do not have any major problems with DSS. DSS is for those who like to have some control over their marketing and will utilize the data and information available to improve their own marketing. DSS does offer marketing support packages but we have not used it. Our firm does everything ourselves and DSS makes it all easy. DSS allows us to get our marketing done in a much more efficient manner. We are able to create new landing pages and have them optimized and data provided in minutes instead of days or weeks. We stay in touch with potential clients on an ongoing basis through DSS with no additional effort. DSS allows us to send team members reminders about contacting potential clients in line with our process without having to create the reminder for each person. In short, DSS helps us get our message out more effectively and efficiently, and helps us stay in front of those who have reached out to us. We're releasing an enhanced merge tag feature that will allow even more customized email messages in the next couple of weeks. Currently, you can use the basic contact info as merge tags in emails, but with this new feature, you'll be able to use any of your form fields in your email followup campaigns. Hopefully, this scratches your itch for more variables to include. "The DSS system is a remarkable tool that allows our business to track how effective our Website is." The DSS allows our practice to actually see how effective our website is in attracting and educating potential patients. We can track what pages of our website patients are visiting, how long they stay, how many schedule exams...etc. The DSS also allows us to interact with a visitor to our website in a professional manner. There is very little that we do not like about the DSS. We have not experienced any problems learning from the built in tutorials and if we experience any difficulty the customer service has been excellent. Switching to DSS is a must! Once you see what the DSS can do, you realize that it is a important tool in reaching your on-line goals. Our website looked nice before but we had no way of knowing if or how potential patients were using it. Now, with our DSS, we can actually know who is visiting our website, if they are staying, what they are viewing and how many we convert to actual patients. If our numbers are low, we know we have to make changes to improve the experience. "DSS - Good experience for a New-To-Website-Management Manager!" DSS has a common sense approach, and comes backed with a support team that is ready to help, especially because I was new to website management and had to learn on the go. Some aspects of DSS are not intuitive, and it would have been handy to have a "roadmap" if you will that connected the details on the website to where you go in DSS to make changes. It is possible this exists, and that I simply didn't have it. We are having to make a recovery on SEO, as our website was closed for about 1 year (we were under a different company during that time) and went from a booming website to a website that had no traffic for a year. We are beginning to see an uptick in traffic, primarily because of support from the team and because we were able to very quickly begin adding content to our website via DSS. 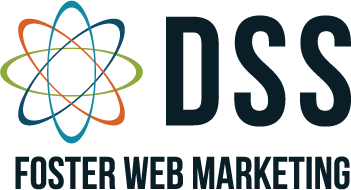 "Foster Web Marketing's DSS Exploded My Business"
...the best thing about DSS is how it handles the backend of the website. Their team keeps up with up-to-the-minute about changes in Google searches (and the others too) and is constantly changing code to allow us to thrive in search. They are the best I've seen! It is the most versatile design, simple to publish text, video, and photos. It has a reliable RSS feed for broadcasting content to social media. Their customer support is second to none, which is so rare for the industry. Needless to say I'm a raving fan!!!! I have found very little that I dislike. There are sometimes design elements that I would like to change, but I am unable to do it myself. That, however, is largely due to the fact that allowing the user to do so will hurt the coding of the site. Not really a complaint but a periodic frustration. While this product is by no means the least expensive, the benefits make it a substantial return on investment. I have not met an unhappy user to date!! I am a practicing physician and own a brick-and-mortar practice. Since using DSS, I have seen a 10 fold increase to my site traffic. This has resulted in greater exposure and has at least doubled the new patients to my practice. It has tripled the number of surgeries that I do. This translates to a tremendous increase in revenue and an astounding return on investment. "Powerful Easy to Use Website Management "
DSS removes the red tape that other website legal marketers implement into their systems. DSS allows the user to update and craft their website, without restricting content, or access to certain areas, and lets the user do what they want, when they want it, in real time without issue. If there is anything to dislike, it would be the extreme depth to which DSS allows a user to access. Although it is really not a negative aspect, it might not be as easy to use for someone unfamiliar with technology. If your practice relies on its web presence in any way, DSS allows your practice to grow in real time. We have solved the issues of loading and delivering content in a real-time basis. This only allows any potential client access to updated content, better conversion, and accessibility to our business or our legal team. The website itself has excellent image quality, and the flexibility of the layout is customizable for pretty much any need that the business has. The availability of support also separates DSS from its counterparts. Support, whether live or on the web, is immediately accessible and there is no waiting for a rep to help you, or approve or review what you need done. "DSS is a great tool/program that integrates your website and CRM under one roof." I like to blog. So, perhaps my favorite function is that I can sit down and blog for a day and then schedule when the blogs will publish throughout the month - DSS allows you to choose the day and time when your blog will publish if you don't want to publish it that day. DSS also makes it simple put publish your blogs on Facebook, Twitter, Linkedin, Google Plus, etc. My only dislike, and this isn't really a criticism, is that the program is so versatile that there is a lot to learn to fully take advantage of DSS. DSS is a comprehensive tool that lets you manage your website and CRM under one platform. I highly recommend it. I had thought of subscribing to InfusionSoft, but DSS integrates CRM and other tools under one roof, making it unnecessary to pay for InfusionSoft. Let us know if you would like additional training on more advanced DSS features as you get more and more comfortable with the tool. Thanks for being such a great partner client! Hope you're staying warm up there in Anchorage. It's incredible to have every aspect of our online marketing, from website to external attorney profiles, linked together and accessible in one place. I would like to see a publishing tool that allows the user to create templates for different types of content so that, when adding to the library, I don't have to compare to an existing content piece to ensure I'm matching all the selections. Because DSS is so easy to use, we've been able to streamline our internal processes for sharing content both on and off the web. This has allowed us to reach a larger market than ever before. 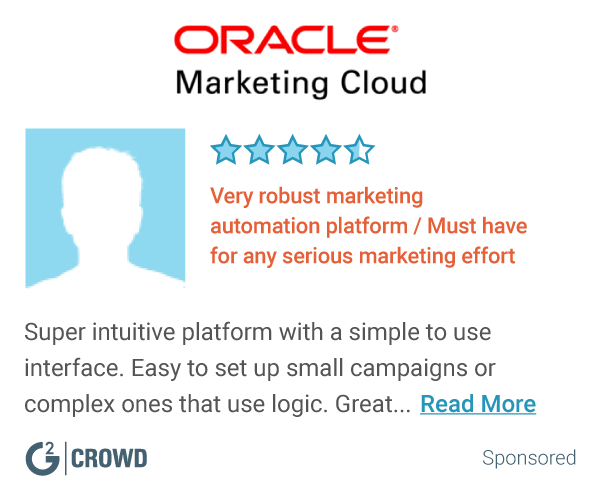 "Fantastic System That I Strongly Recommend"
I like the easy-to-understand user interface. Everything is structured in a way that makes it fairly simple for someone unfamiliar with internet marketing to begin generating content, setting up an e-mail newsletter, etc. I'd like to see more e-mail templates offered for newsletters. E-mail marketing is absolutely essential for most businesses today and the template options are quite limited. I would also like more tools for content development and easier distribution for videos. I think it is worth a try. The system is strong and laid out well for most users to hit the ground running. The benefits we've realized is increased client acquisition and an expansion of our audience. We also use DSS for content generation, distribution, and management. I like how easy it is for me to navigate and understand. I just started this job a couple a months ago and can honestly say that Foster Web Marketing DSS is super easy to use for just about anyone. I would like it if DSS didn't log you out so quickly when you have two DDS tabs open. I'm on it all day so I'd like to stay in logged in all day. Do it! And don't look back. I feel like our website is a lot more organized, cleaner and well-kept because of DSS. It's easy to see what pages, articles and other content is working for people and what isn't. That helps us clean up our website and put the best possible content forward for our guests. The FWM DSS system is your "one place to look" to organize your online marketing. It tells you what you've done but more importantly, what you need to do to keep up with the competition. My team and I rely on DSS for our online "to do" list to make sure that we continue to dominate the Internet marketing space in our area. There isn't much to not like. It can be overwhelming until you get used to the "firehose" of information it is giving you about your online legal marketing. Online marketing organization with primary emphasis on understanding where leads have come from and what attracted them in order that we can do more of that. Ben, thank you for your amazing review! We're extremely thankful for your kind words and the partnership we've developed over the years. You and your team are rockstars who just "get it." Our hope is that we can help other smart marketers like yourself and your team achieve the same kind of amazing results using DSS. Keep up the great work and looking forward to working with your team for years to come! "Effective and easy to learn marketing tools and website solutions"
Dynamic Self-Syndication (DSS) is a well thought out platform. It allows you to maintain your website, update content, manage an email list, view your marketing statistics, create effective drip campaigns and much more. It has been easy to learn and our business is thriving in part because of DSS. DSS has been well tested and is glitch free from my perspective. There is no issues with the software and the support has been excellent. It's a great tool - well worth the cost to our business. DSS has allowed us to better communicate with our potential new clients (PNC). The drip campaign features are very effective at keeping our PNC's informed an aware of our business. That's some great feedback Brian, thank you! Keep up the great work and don't hesitate to reach out to customer support if you need additional training on anything or want more information on our newest features. We appreciate the real time dashboard and drilled down information on our marketing and CRM efforts. It has allowed us to remain ahead in our market. The resources, data and metrics are so robust we always find more that we can be doing! Finding the time to do it all is the hard part. Tracking our patient relations, grass roots efforts, and community outreach has been critical to our successful attraction and retention of our patients. Thank you for the awesome feedback! The amount of information available to use in DSS is pretty intense, but we're glad you're continuing to find ways to leverage all those awesome metrics in your marketing. Hope you're enjoying the new website design for Austinfootandankle.com and if you have any questions please don't hesitate to reach out to customer service. "Quality Work from Quality People"
They are quick to answer any questions and solve any issues. I never have to worry about something being "broken" for more than 24 hours. That they are in a different state so I can't go onsite for live training as frequently as I would like. DSS is user friendly and you can find almost anything you need in a reasonable time. It makes marketing yourself simple and fun. We are able to manage our website internally and add content/make changes as we see fit. We don't have to send our work to a manager and wait for them to do it for us. DSS is user friendly and makes it so that we can manage our brand, with the assistance of their skilled team. The layout and dashboard is intuitive and very user-friendly. There is nothing I dislike about this product. However, if I had to pick something it would be that it is proprietary software. If you are looking for the ability to make real-time changes to the content of your website, I highly recommend using DSS. I wanted the ability to make real-time content updates to our website. This is very easy with DSS. Previously, the web development company we used required us to submit content changes to them and they would then make the changes. It was a much longer process and was discouraging to make frequent content updates. DSS is a proprietary software, but you do own the website design we create for you, all the content we write for you, and anything content you create through DSS. If you ever did have to make a change, rest assured that you'll be able to take everything you've done with you. This is something we do that most companies don't because we feel like it is the right thing to do and that's what we're all about. Thanks again and let us know if we can help in any other way. "Simplifying The Process Of Keeping My Website Current"
I have done websites as a computer programmer for years and was utilizing my own website at one time. Amazingly, I was introduced to DSS and surprised at the ease of website updates. I now have more time for family and things of greater importance while still keeping my website updated. No big complaints at this time. I am very happy with DSS. Having more time for patients, more time for family and ability to delegate website update to staff. "Easy to navigate and update"
I like the user friendly environment. It is very difficult to maintain websites if you don't have a tool like DSS and they make it very simple to create and edit web pages for our business. This software allows an average user to easily train to maintain websites with ease. We are bringing in more leads every day. We are able to create content and get it onto peoples desktop. The hands on guidance that we get from Foster Web is a tremendous help. "Very Helpful employees and an easy to use software"
Nothing really, perhaps that there isn't a better way to rid SPAM from the site. Though this is understandable that it can be difficult to do. Definitely recommend. It is a little pricey, but you get what you pay for. One of the best in marketing and website development tools. Used for Marketing services, to track traffic on the website. Also in the process of a website redesign which should update our out of date website and make it look modern, as well as make it easier for prospective clients to navigate. Simplicity is the key to great design, so that is great feedback. SPAM is no one's friend. Have you tried using the "block email" function from your lead list? Block this Email: This icon will block the email address of the lead so they cannot contact you through your website again. block certain people from contacting you again? Some people are just spammy, but they are real people. It can be hard to block these real people who try and contact you with spam messages. In general, I think it helps people actually take action when all the key components to execute their online marketing are under roof. DSS doesn’t require you to wander around through a bunch of plug-ins to publish content to your website or make sure the site looks nice. It’s all right there for you. Some of the categorization of where to find certain parts of the software takes getting used to, but that’s not a real hurdle. You do need to actually WORK on your website. With any software, you need to actually put the work in to making it do what you need it to do. You can get something “free” and it won’t do anything for you. At least with DSS, you are making a real investment in your practice and giving yourself a psychological trigger to get the work done. It’s super easy to publish and monitor the performance of content for search engine optimization! "Foster Web Marketing took our online marketing to the next level." Foster ensured that we followed up with our own marketing plan. Rather than just optimize our website, Foster helped us develop a marketing plan to meet our individualized goals. Sometimes we spend too much time on analytics rather than nuts and bolts recommendations to improve our online presence. It is a great way to consolidate your online marketing approach. Our online presence in our marketing area has improved dramatically. We continue to improve each month. "Looking for an all-in-one solution for managing your website? Look no further..."
Practically every aspect of your website can be managed in the DSS back-end. Unlike some open source content management systems like Wordpress, Joomla, etc., you don't have to install and maintain multiple plugins, and you don't have to update the version of the CMS every time a new one is launched. Everything is maintained for you. I'm a professional SEO consultant, and I can honestly say that I've been able to achieve better results for clients using DSS than I have for clients using other content management systems. There are certain hard-coded aspects of the websites which can't be edited by the user, but through a quick e-mail these can usually be updated. I love the reporting feature where it shows how many phone calls/emails/live chats are generated on a monthly basis, maybe some advanced functionality when it comes to the reporting but I don't really have many complaints. I am helping a legal client improve his online visibility through organic search engine optimization. DSS is extremely SEO-friendly, I would definitely recommend using it for any law firms looking for a DIY solution. DSS is very easy to navigate and figure out what you're doing. I like that it's easy to find specific pages and understand how everything connects. I also like that you can alter things in HTML code if you know how. There are some heavily coded pages but the DSS makes it simple enough to adjust them without screwing up the coding. It's really easy to incorporate videos and web forms with other pages. Not much that I'd say I dislike. I think it could be a little easier to incorporate photos in certain contexts. I've used several different content management softwares in the past and found DSS extremely easy to learn. I usually have a number of things that bug me about every software but I can't think of anything that's really inconvenient about DSS. Everything is really convenient and there's always a way to do everything you need to do. And if you notice something that's awry, you can let them know and they might be able to fix it. We've had a number of specific requests and the FWM team has been very flexible with us. We've changed the entire look of our website a few times, which isn't an easy task. Thank you for the great feedback! We are always looking to improve DSS and its user experience, so we will definitely take a look into making the photo upload and placement feature even more intuitive. We are actually making some navigational changes in the next couple of weeks that I think you will enjoy. We appreciate your kind words and you are a great client to work with. "DSS is user friendly and effective "
DSS is a fantastic tool for “back of the house” website modification. It is pretty easy to use so changes to your website can be done in minutes. DSS is the easiest content modification program. The hardest part is actually sitting down to write updates and new content. Modifications and updates to our website and monitoring of Google Analytics. Thanks for the great feedback Jennifer! Let us know if you need help with creating content regularly. We offer custom marketing services plans including content writing, so you can spend more time on client work. Convenience of CMS, CRM, and everything else that comes with DSS all in one place! I don't "dislike" anything about DSS - there are a lot of things that I'd like to see improved but the biggest thing about DSS is the people behind it, and they're awesome. If youre a lawyer or other service industry pro and want to do more than just "have a website" DSS is for you! By having a website that I can update at will, that is well designed and allows for flexibility, and that is easy to use, I get more referrals. More referrals means more business and that is a clear winner for me! There's nothing that I dislike ... other than it took me so long to find it! I can update content quickly and easily and I don't need to know anything about websites to do it! We're so happy to hear you are having such a great experience using our solutions. Keep up the great work! "My Experience with DSS has Been Excellent"
The Dashboard is easy to use and I have little issues finding where to go to get things accomplished. We have had a few issues uploading videos. We like having everything done through DSS including our email marketing. We were using another third party for that but now that it can all be done in DSS it's nice to have everything in one place. "Couldn't imagine a easier system with this many features. " The ability for me to control all the content on my website. I don't have to go through anyone to make changes or add information. No complaints. The system is easy to use and the team is always there to quickly answer questions and provide guidance. If you want full control of your site content and firm marketing, DSS cannot be beat. The team at Foster Web Marketing is nothing short of amazing. I have been able to add a tremendous amount of content and develop an email campaign. "DSS MAKES ALL THINGS POSSIBLE"
I'm a solo practitioner so costs are always a concern. I've always used WordPress. But you get what you pay for, that's the reality. Foster Web, to me, is the gold standard. The DSS platform makes it easy to do everything necessary for digital marketing. The support staff is amazing. It's expensive, no doubt but fair for what you get. DSS facilitates getting reviews on your website and posted to social media. That's huge. Email blasts to prospects, clients and referral sources are easy to do. Richard, so glad to hear how much you love using DSS over Wordpress. Sounds like you're taking advantage of a lot of the features of DSS but let us know if you ever run into something you need help with. "DSS is easy to use and effective"
I am able to update my website immediately and I don't need to know HTML. DSS is also formatted so that the website looks modern and professional. I am given all the tools to optimize my website content and get top results in relevant Google searches. Also, it has an autoresponder and automatically saves and reports on web forms and traffic. These added benefits have allowed me to do away completely with expensive, much harder to learn and use CRM products. "This is an Amazing Content Management Tool! " DSS allows our entire marketing team access to manage our website content, monitor analytics, access leads and maintain profiles. This is a tool that gives us a step up on our competition. Some of the social media management aspects of DSS are not as robust as other tools on the market, but the team at Foster Web Marketing is always working on improving its offerings and staying at the forefront. DSS make things simple and efficient. It is incredibly advanced and user-friendly. Jill, you and your team are an amazing group to work with, so thank you for being awesome! We're constantly working on improving our products and it is great feedback to hear what areas are lacking from your perspective. We'll definitly keep that in mind as we plan enhancements moving forward. Looking forward to getting started on revamping the website with you. "DSS is an easy way to update your website"
DSS is an easy way to keep on top of your website. You can add content, make edits and send feedback requests to your clients. I like the function of the feedback request feature but it is awkward to use. You have to edit the response to tailor it to your individual client, then add the client, then edit the client to add the feedback tag. The process should be streamlined. The feedback request has generated many positive reviews of our business! It is very easy to use I am not a programmer and I love the simplicity. DDS allows our business to make its mark with individuality without requiring a change call every time we want to do something. DDS allows us to have a strong internet presence. We have a state of the art website that we are able to manage the content. It makes managing the website source code impossible. Having access to some of those features may be good. It is very easy to use and u pload content to your site. Getting information out quickly and keeping our potential customers up to date is what we are primarily using it for. We also update the site consistently which helps us rank higher on Google. The ease which I can work on our website. Not understanding how to do some things. Like the old Nike ad used to say, "Just Do It!" There are other site-building companies out there but not one that I've used will back up their product like DSS/Foster. It allows us to be able to keep and maintain a web presence. I have realized that we can utilize this to expand our presence. It gives us an outlet to outshine ALL of our local competition. * We monitor all DSS reviews to prevent fraudulent reviews and keep review quality high. We do not post reviews by company employees or direct competitors. Validated reviews require the user to submit a screenshot of the product containing their user ID, in order to verify a user is an actual user of the product. Hi there! Are you looking to implement a solution like DSS?